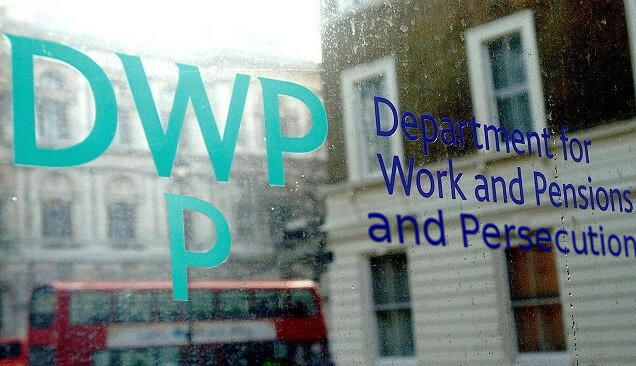 The blitz of reforms to the welfare system by the Tory-led coalition has had a disproportionally negative impact on women, new analysis has revealed. ‘The Gender Impact of Welfare Reform’ report by the Scottish government found that many of the benefit changes have hit women hardest due largely to their greater caring responsibilities. Child benefit, child tax credits and the childcare element of working tax credit, all which have come under the government’s axe, are paid to the main carer of children, usually a woman. In April this year, 83% of in-work couples receiving child tax credits had a female payee. The income women receive from such benefits has been reduced in real terms as increases in some benefits have not matched inflation. • Child benefit freeze from 2011 to 2014, and 1% uprating from 2014 to 2016. • Reduction of child benefit for households where an individual earns above £50,000, and removal where one individual earns above £60,000. • Reduction in the proportion of childcare costs covered by working tax credit. • Removal of the baby element of child tax credits. • Increase in the taper rate for tax credits. • Requirement for lone parents on income support with a youngest child aged five or six to move to JSA. • Abolition of the health in pregnancy grant. • Restriction of sure start maternity grants to the first child only. • Abolition of the child trust fund. • A system of charges for those requiring access to the new statutory child maintenance service and collection charges where the payment of maintenance is not through voluntary agreement. • The benefit cap, which is expected to primarily impact on households with children (89% of households affected) and lone parents (50% of households affected). The report notes that women will also lose out under the forthcoming Universal Credit system. Unlike the current system, where different benefits can be paid to separate members of a household, UC will be paid as one single household payment. In couple households where this is paid to the man, this will represent a loss of independent income for women, concentrating financial resources and power in the hands of one person and possibly resulting in resources not being shared equally. According to the report, money provided to women is more likely to be spent on children’s needs than money allocated to men, meaning the move to a household benefit payment could reduce spending on children. The analysis also highlights growing concerns that other Universal Credit changes could mark the start of a return to a ‘male breadwinner’ model in dual headed households. Launching the report today, deputy first minister Nicola Sturgeon said: “It is already clear that the UK government’s benefit reform programme unfairly impacts on some of the most vulnerable members of our society. “However, this report also shows there are adverse consequences for women, particularly mothers and their children, who could be worse off due to Westminster’s welfare cuts. “We are doing what we can, within the powers and resources we have, to help people in Scotland who are affected by these unfair reforms. This includes providing an additional £9.2 million towards our new £33m Scottish Welfare Fund. The new fund has already helped more than 20,000 people, and has the capacity to support around 200,000. Unlike everything else in ‘Benefit Tales’ , which is copied form other sources, this is a personal story. Had a distressing conversation with a couple of people suffering from learning disability and getting grief from the job center. The first doesn’t want to apply for ESA (even though he gets low rate DLA) because he has worked for 20 years and just wants to work again. But now the job center is insisting he does everything online, and he is not good with written words, is useless at form filling and cannot use a computer. The jobcenter staff tell him it is not their job to assist him with forms and applications. Their online job search systems form a barrier he cannot pass in order to look for a job. The second is in a similar position but when she asked for help with the online system at the job center, the person she was speaking to laughed and mocked her. She is very distressed and frightened to go back, but if she doesn’t, she will be sanctioned and lose all income. There must be hundreds of thousands of people in the same position, unable even to use help forums because of illiteracy, and with nowhere at all to turn. Finally got my sick note from my GP this morning to go with my ESA (disability benefit) appeal, told him i`d had 6 (work capability) assessments in just over two years, he was flabbergasted when he heard, said to me I should only be doing one per year and said why don`t I report them for harrassment, said I had but it doesn’t make any difference, waste of time but at least my appeal is complete so what happens now i`ve sent my note in, does it guaranteed me a payment? thanks! (comment) Thanks, done 3 appeals in last two years, won 2 lost 1 and done 5 assessments in just over 2 years, ridiculous! (comment) I am waiting for assessment 7, utterly ridiculous state of affairs. Now have home assessments, GPs, Consultants are livid…as it is not a fair system…and takes too much time away from their duties…my GP and I sat down together and completed GP statement, which is on file for DWP/ATOS requests…also attached is a written list of visits to GP, re depression/anxiety caused by ATOS process…so it is there every time it goes to appeal…I have been told it is bordering on harassment.! Last panel apologised and dismissed case before got to meeting. The Paralympic Games FAILED to improve the lives of disabled people or change the attitudes of the wider public, If anything it has done exactly the opposite, the uneducated wider public think all disabled people can perform like the Supa Crips that took part in the games whereas we know the real truth. The Disabled participants at the games were used by the politicians and the media to continue the abuse of disabled people on an everyday basis, nothings changed, a few supa crips have achieved their personal goals forgetting their fellow disabled citizens in the process. Being abused in the streets and shops is now an everyday thing for disabled people, disabled people are now the new Blacks, how long will it be before abuse of the disabled is taken as seriously as being Black??? The vast majority of disabled people in Britain feel there has been no improvement in attitudes towards them a year after the Paralympics and many feel stigmatised as “benefit scroungers” while suffering hostility and abuse, a leading charity has warned. Campaigners said the sea change in perceptions of people with disabilities generated by the London 2012 Games has been eroded by misleading rhetoric from politicians and within the media about welfare payments and a crisis in living standards for the disabled caused by spending cuts. Twelve months to the day after the opening ceremony for the Paralympics, the host city for the Games – which thrust athletes such as Jonnie Peacock and Ellie Simmonds into the same spotlight as Mo Farah and Jessica Ennis – has one of the highest rates of attacks on disabled people.